We wish you memorable and safe travels throughout The Green Mountain State! 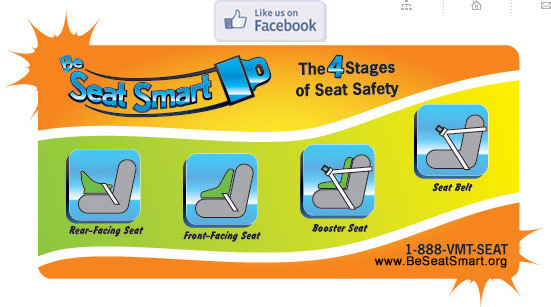 We encourage you to travel with your child's own car seat or booster seat. You know the history of the seat & how to use it. You know the cleanliness level of the seat. Vermont Vehicle Passenger Safety laws apply to all visitors and tourists travelling the roadways of Vermont by passenger vehicle (rental or privately-owned). Appropriate restraint use is mandatory for all vehicle occupants. Motor homes, Campers, & RVs may or may not be equipped with seat belts in passenger seating areas, depending on model, class, & manufacture year. 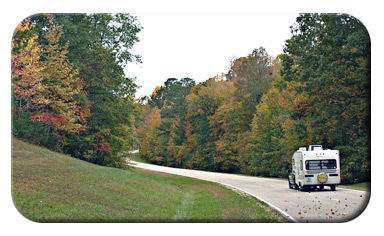 Inquire with the motor home rental company or owner for more information on the availability of passenger seat belts. Reminder: Side facing motor home "sofas" and rear-facing dining area seats are NOT designed for installation of child car seats. Car seats and booster seats are designed to be used ONLY on forward-facing vehicle passenger seats with factory-installed seat belts. Booster seats require the use of lap and shoulder seat belts.